This week brings with it a whole bunch of fantastic crime fiction releases. From on-trend psychological thrillers to classic detective novels and more, there's a little something for everyone releasing this week! Read on for CBTB's top recommendations for new crime fiction releases this Tuesday, 6/27/17. The author of breakout 2016 debut THE WIDOW is back with a story that's even more intricate, engaging, and character-driven than her first. Barton weaves a compelling tale of long-buried secrets in THE CHILD. While perhaps not as fast paced as some of its peers, THE CHILD benefits from the detail-oriented and masterful plotting of its author -- this story is made by the complex women at its core. 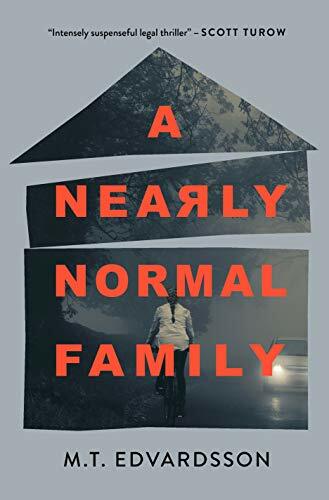 This book is highly recommended for readers looking for a layered, immersive story of psychological suspense. Serial killer thriller readers, this one's for you. Barker has crafted an utterly addictive thriller that's aptly described by the publisher as a blend of Se7en and THE SILENCE OF THE LAMBS. Gory, gruesome, and over the top, THE FOURTH MONKEY is an original and wholly engrossing addition to any crime reader's library. With a fresh twist on the genre - the serial killer is dead at the beginning of the book - 4MK is a breath of fresh air. But be prepared for blood and guts - this book has plenty. I'm a self-proclaimed hesitant reader of classic British detective novels. While it goes without saying that I have immense respect for this subgenre of crime fiction, I often have a hard time connecting on a personal level with this particular style. Well, Shaw has made a convert out of me. What starts as a slow-burning mystery becomes an emotional, atmospheric puzzle - a whodunnit that left me in tears by the end. Shaw's impeccable procedural will delight fans of classic crime, and is sure to make many more converts along the way. If you've been following Crime by the Book for a while, you'll already know I will take any opportunity to praise the crime fiction genius that is THE CROW GIRL by Erik Axl Sund. Now available in paperback, this Swedish crime masterpiece is tied for my favorite book of all time. In turn repulsive, horrific, brilliant, and tender, THE CROW GIRL is simply a masterpiece of the genre. Pick this book up for its instantly engaging plot; stay for its unflinching and intelligent insight into the worst - and the best - of ourselves. *Plus: stay tuned, because I'm going to be hosting some very exciting content to celebrate the release of THE CROW GIRL in paperback! In a Stockholm city park, police find the tortured body of a youth. Then, they find two more, and it becomes clear that they are facing an extraordinary case—and an extraordinarily twisted killer. Detective Superintendent Jeanette Kihlberg heads the investigation, battling an apathetic prosecutor and a bureaucratic police force. She turns to the therapist Sofia Zetterlund for her expertise in psychopathic perpetrators, and under the pressure of the investigation, their lives become inextricably intertwined. As the two women draw closer to the truth about the killings, they begin to discover a hideous evil at work, and it’s much closer to them than they think. Mesmerizing and explosive, The Crow Girl is a tale of almost unfathomably heinous deeds and of the catastrophic damage, and the profound need for revenge, left in their wake. Are any of these titles on your to-read list? I'd love to hear from you!